Saab offers Gripen E to Finland. On January 30, 2019 Saab submitted its proposal for the Finnish HX fighter procurement to the Finnish defence procurement agency, the Logistics Command of the Finnish Defence Forces. 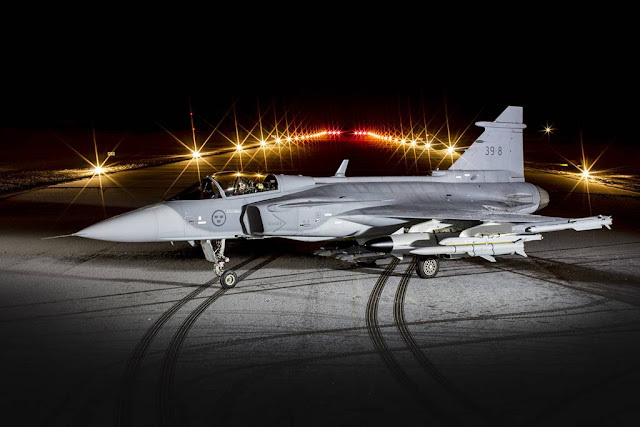 The proposal comprises 64 Gripen aircraft, both single-seat Gripen E and dual-seat Gripen F, and is the formal response to the customer’s Request for Quotation (RFQ) issued in April 2018. According to the planning of the Finnish MoD, the winner will be selected in 2021. In addition to the Gripen, another four aerospace companies have offered their aircraft to Finland: Boeing F/A-18 Super Hornet, Dassault Rafale, Eurofighter Typhoon and Lockheed Martin F-35.